The Fort Worth Independent School District leads most major urban school districts in accountability gains, according to the Texas Education Agency. In fact, FWISD is touted by TEA as one of two top districts in Texas in year-to-year positive growth. Forty-two percent of Fort Worth ISD schools received letter grades of A or B under the new A-F accountability system which will be fully implemented next year. And, 75 percent of FWISD campuses earned a letter grade of A, B or C.
Five struggling campuses that were reconstituted as “Leadership Academies” – Mitchell Blvd. ES, John T. White ES, Como ES, Logan ES, and Forest Oak Middle School – were rated Improvement Required at the beginning of the last school year. Two of those schools – Logan and White – faced closure. However, all five Leadership Academies will be rated “met standard,” many seeing double-digit gains in reading and math. Fort Worth ISD has seen positive growth among its highest-achieving campuses, as well. “We have ten campuses that will have Met Standard at the A level,” said Dr. Scribner. Additionally, FWISD saw an increase of 8 percentage points in students passing Grade 3 reading. 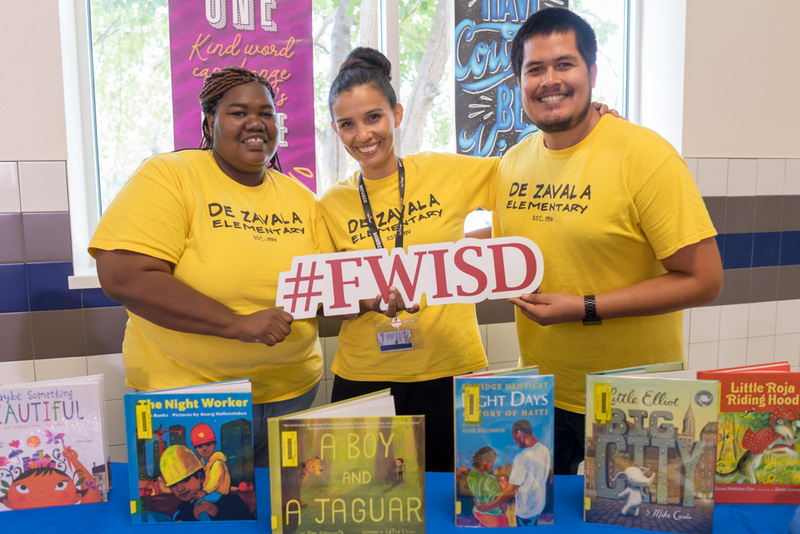 “Having more students passing is the first step in moving all students to reading at grade level,” said Dr. Scribner, referencing the District’s goal of 100X25FWTX. The initiative aspires to have all third-grade students reading at or above grade level by 2025. This is part of the Read Fort Worth collective impact movement, led by Mayor Betsy Price, BNSF Chairman Matt Rose and Superintendent Scribner.